Federal jurors in San Francisco found Tuesday that Roundup was a substantial factor in causing the cancer of a California man who used the weed killer to kill poison oak on his 56-acre property for 26 years. Jurors ruled for 70-year-old Edwin Hardeman in the first phase of his trial, report the San Francisco Chronicle, the New York Times, the Recorder, Courthouse News Service and the Wall Street Journal. The case is one of three bellwether trials out of about 760 cases transferred to U.S. District Judge Vince Chhabria. Hardeman had chemotherapy for non-Hodgkin lymphoma in 2015. His trial moves to the second phase in which jurors will consider the conduct of Roundup maker Monsanto and its potential liability for damages. One of Hardeman’s lawyers, Jennifer Moore, told the New York Times that evidence will be introduced in phase two showing that Monsanto manipulated public opinion and science to minimize the health risks of Roundup. Throughout the nation, more than 11,000 Roundup suits are pending. In a case that wasn’t part of the federal multidistrict proceedings, a state court jury awarded $289 million in August to a California groundskeeper who contracted lymphoma after using Roundup. A San Francisco judge reduced the award to about $78 million in October. 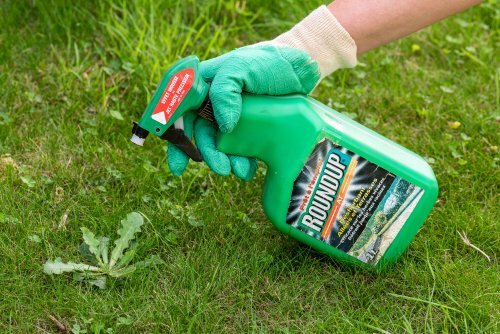 Roundup uses the chemical glyphosate, which was classified in 2015 as a probable cause of cancer in humans by an agency of the World Health Organization. The Environmental Protection Agency has found that glyphosate is safe. Bayer AG acquired Monsanto last year. Bayer released a statement after the verdict: “We are disappointed with the jury’s initial decision, but we continue to believe firmly that the science confirms glyphosate-based herbicides do not cause cancer. We are confident the evidence in phase two will show that Monsanto’s conduct has been appropriate, and the company should not be liable for Mr. Hardeman’s cancer.